I followed this truck into the city on Thursday. For 20 miles, this was the view. 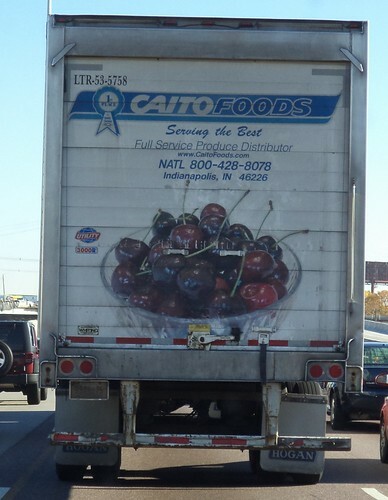 All I can think about are fresh cherries; bags of fresh sweet cherries, so woefully out of season right now.